Ready to take your triathlon training to the next big step? The HRM-Tri and HRM-Swim bundle up to provide you with a unified approach to your training and racing. 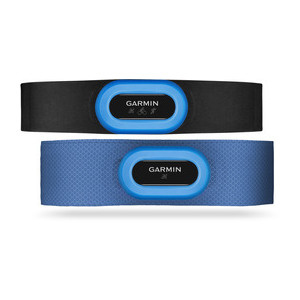 They’re both specifically designed for triathletes, providing accurate data you can count on. The non-slip HRM-Swim is perfect for indoor pool training sessions and stays on even will all-out wall push offs. When training or racing on land or open water, use the HRM-Tri’s ultra-soft strap that’s comfortable in and out of the water. Both the HRM-Swim and HRM-Tri store and forward heart rate data to a compatible device for in-depth data reviewing to allow you to make the necessary changes to your training plan for improvements.